Nebraska – Senator Anna Wishart has introduced LB 110, otherwise known as the Medical Cannabis Act ...For information on this state update, subscribe to our Marijuana Weekly Updates. Iowa – Republican State Senator Brad Zaun has announced his plans to introduce a bill that would ...For information on this state update, subscribe to our Marijuana Weekly Updates. Kentucky – A bipartisan group of Kentucky lawmakers introduced House Bill 136 to legalize a medical ...For information on this state update, subscribe to our Marijuana Weekly Updates. Tennessee – State Sen. Janice Bowling, R-Tullahoma, and Rep. Ron Travis, R-Dayton, said they will introduce ...For information on this state update, subscribe to our Marijuana Weekly Updates. Arizona – The Arizona Supreme Court will take up the Arizona vs. Jones case, which questions the legality ...For information on this state update, subscribe to our Marijuana Weekly Updates. Arkansas – The Arkansas Medical Marijuana Commission announced 32 dispensary license winners on ...For information on this state update, subscribe to our Marijuana Weekly Updates. Connecticut – On January 7, 2019, Green Thumb Industries (GTI), a vertically integrated multistate cannabis ...For information on this state update, subscribe to our Marijuana Weekly Updates. Florida – On January 11, 2019, Agriculture Commissioner Nikki Fried announced she created a position of ...For information on this state update, subscribe to our Marijuana Weekly Updates. Maryland – On January 8, 2019, the Maryland Medical Cannabis Commission’s policy committee deferred voting ...For information on this state update, subscribe to our Marijuana Weekly Updates. 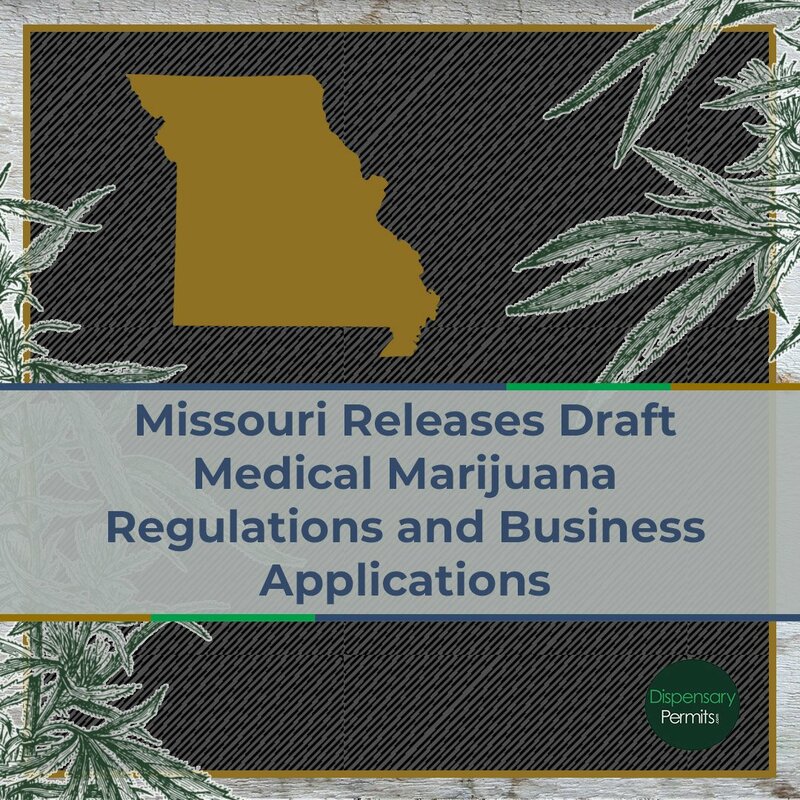 Missouri – The Missouri Department of Health and Senior Services has received more than 250 forms and ...For information on this state update, subscribe to our Marijuana Weekly Updates. New Jersey – On January 10, 2019, The state Board of Medical Examiners suspended the medical license of ...For information on this state update, subscribe to our Marijuana Weekly Updates. New York – Governor Andrew Cuomo is expected to share his plan to legalize recreational marijuana on ...For information on this state update, subscribe to our Marijuana Weekly Updates. 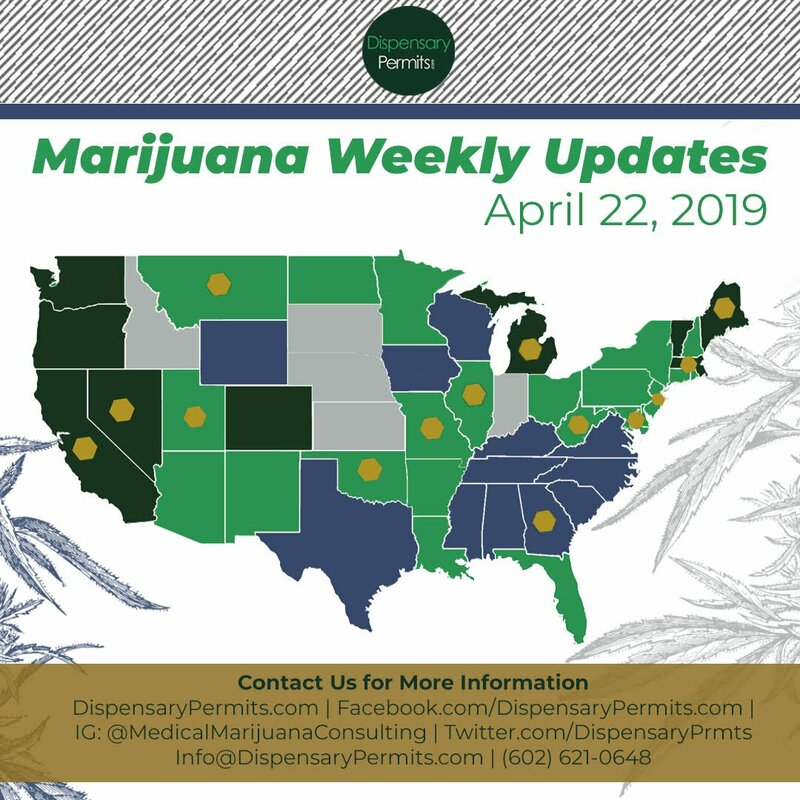 North Dakota – The state of North Dakota is preparing to open the last round of applications for medical marijuana ...For information on this state update, subscribe to our Marijuana Weekly Updates. Ohio – On January 8, 2019, State regulators granted Hocking College a certificate of operation for its ...For information on this state update, subscribe to our Marijuana Weekly Updates. Oklahoma – The Oklahoma Medical Marijuana Authority announced that about 450 medical marijuana patients ...For information on this state update, subscribe to our Marijuana Weekly Updates. 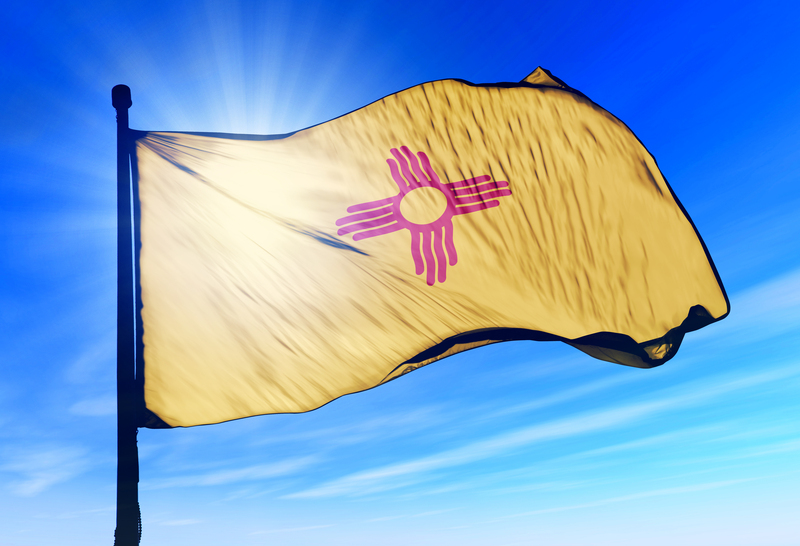 California – Governor Gavin Newsom recommended over a 50% increase in spending for marijuana regulatory ...For information on this state update, subscribe to our Marijuana Weekly Updates. 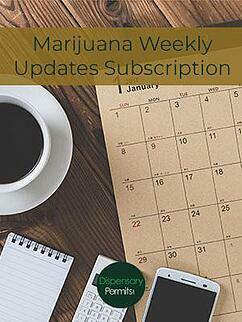 Massachusetts – On January 10, 2019, The Massachusetts Cannabis Control Commission voted 4-1 to agree to ask ...For information on this state update, subscribe to our Marijuana Weekly Updates. 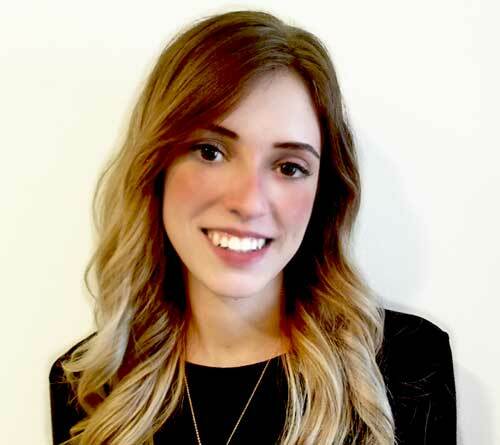 Michigan – The Michigan Department of Licensing and Regulatory Affairs (LARA) issued two health and ...For information on this state update, subscribe to our Marijuana Weekly Updates. Vermont – On January 11, 2019, the Senate Judiciary Committee released an outline of the draft tax-and-regulate legislation ...For information on this state update, subscribe to our Marijuana Weekly Updates.